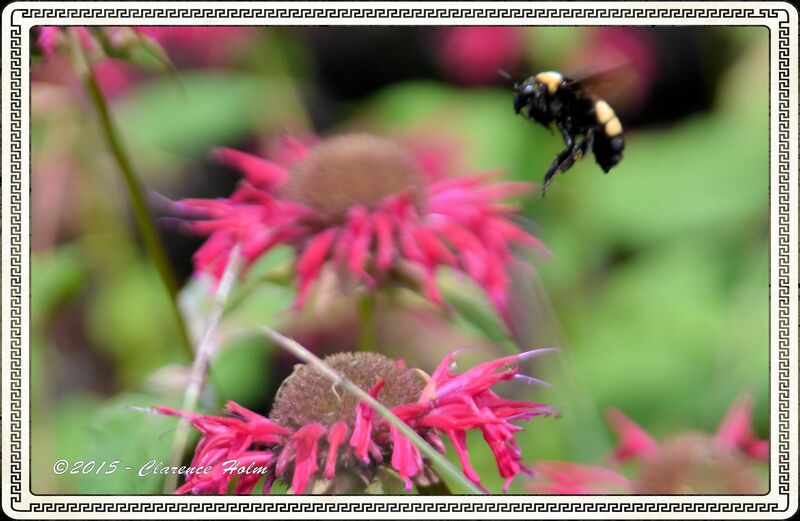 A Bumble Bee is a big, hairy, black and yellow bee that can range in size from 3/4 inch to 1 1/2 inch. They pollinate flowers as they search for nectar. Normally a very docile bee who will only sting if cornered or the nest is threatened.